What is a Distressing Near-Death Experience? How Common Are Distressing NDEs? What Are the Aftereffects of Distressing NDEs? Where Can I Find Support After a Distressing NDE? Where Can I Learn More about Distressing NDEs? If you have had a distressing near-death experience, or know someone who has, or even have merely heard of the phenomenon, you're probably interested to know more about such experiences. This page will provide basic information and will direct you to additional resources on the subject. Near-death experiences (NDEs) are often profound psychospiritual events. Most near-death experiencers (NDErs) report that their experience was dominated by pleasurable feelings such as peace, joy, and bliss. However, less commonly, some NDErs have reported that their experience was dominated by distressing, emotionally painful feelings such as fear, terror, horror, anger, loneliness, isolation, and/or guilt. The most common type included the same features as the pleasurable type such as an out-of-body experience and rapid movement through a tunnel or void toward a light but the NDEr, usually because of feeling out of control of what was happening, experienced the features as frightening. The second, less common type included an acute awareness of nonexistence or of being completely alone forever in an absolute void. Sometimes the person received a totally convincing message that the real world including themselves never really existed. The third and rarest type included hellish imagery such as an ugly or foreboding landscape; demonic beings; loud, annoying noises; frightening animals; and other beings in extreme distress. Only rarely have such NDErs themselves felt personally tormented. Rommer (2000) speculated a fourth type, the rarest of all, in which the NDEr feels negatively judged by a Higher Power during their NDE life review in which, typically, the experiencer re-views and re-experiences every moment of their life. This latter type of distressing NDE contrasts sharply with the life review that sometimes occurs in a pleasurable NDE. In the predominantly pleasurable experience, the NDEr feels absolutely loved even as they re-view and re-experience the most unloving actions they committed during their lives. During this process, the NDEr typically is simultaneously themself and each person with whom they interacted. Thus, in the pleasurable NDE, the NDEr experiences what it was to have been on the receiving end of their actions and, typically, experiences profound regret and/or guilt, but within a larger context of being unconditionally loved. In the distressing NDE, by contrast, the NDEr only feels negatively judged. As with the pleasurable NDE, distressing NDEs seem to occur about equally to people of both genders and of all ages, educational levels, socioeconomic levels, sexual orientations, spiritual beliefs, religious affiliations, and life experiences. Although people have sometimes wondered whether good people have pleasurable experiences and bad people have distressing ones, research has shown no such relationship between apparent life deeds and type of NDE (Rommer, 2000). In addition, some people's NDEs have contained both pleasurable and distressing elements, and among people who have had multiple NDEs, some have had a pleasurable experience one time and a distressing experience another, in no definite order. The way one dies may be a factor in the type of NDE one has. 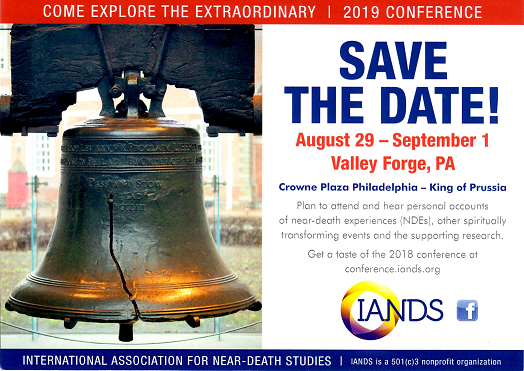 Rommer found that dNDErs who had self-induced their deaths made up 55% of people in her research who reported a Type II Eternal Void experience, 18% who reported a Type III Hellish experience, and most of those who reported a Type IV Negative Judgment experience. Although it may be tempting to conclude that people who attempt suicide are being punished for trying to induce their own deaths, we must avoid this temptation, as the following paragraph will explain. People who are in a distressed frame of mind at the time of their near-death episode and those who were raised to expect distress during death may be more prone to distressing NDEs. People who attempt suicide are almost always in a distressed frame of mind. Usually they are attempting suicide because they feel themselves to be in unendurable and unending emotional or physical pain. In addition, they are almost certainly aware of the widely held belief that suicide is cowardly and/or the wrong way to escape the pain of life. Although they hope for relief from their pain, they may also consciously or unconsciously fear punishment. In a heightened state of pain, as well as of fear and/or guilt, they are highly distressed and, consequently, may be somewhat more prone to having a dNDE. Many people who were in a distressed frame of mind and/or who expected judgement and punishment during death had a pleasurable NDE. Bush (2002) examined the mystical literature of major religions such as Christianity, Judaism, and Buddhism; the research on other non-ordinary states of consciousness probably related to NDEs; and the data on distressing NDEs themselves. She came to the same conclusion as Rommer: Everyone has the potential to have a distressing near-death experience. In summary, it is not known conclusively why most people report pleasurable NDEs and some report distressing ones. Whether this question can ever be answered, and what that answer might be, awaits further research. Although NDEs have been categorized based on their predominant emotional tone pleasurable or distressing aftereffects of both categories of experience appear quite similar. For example, NDErs of both types often feel challenged to integrate the experience into their subsequent lives. However, whereas virtually all pleasurable NDErs lose their fear of death, distressing NDErs sometimes express a fear of death and often ask, Why me? Why did I have a distressing experience when most people have a pleasurable one? Someone who had a lifelong pattern of using emotional isolation to avoid being rejected by others, may have a distressing NDE of the eternal void, in which he realized that profound, endless isolation is not what he really wants. Afterwards, he may develop his ability to be emotionally vulnerable to others, to deal with the occasional disappointments that such vulnerability brings, and to enjoy the frequent rewards of connecting intimately with others. Another distressing NDEr may report that in her NDE, she engaged in a life-and-death struggle with a demonic being; for the first time in her life, she genuinely called out to God for help; and for the first time she experienced the genuine presence of, and communion with, God. Both of these distressing NDErs would say that without the dNDE, they would not have furthered their personal and spiritual development. In this sense, Rommer concluded that although distressing NDErs frequently struggle through the emotional aftermath of their NDEs, they almost always eventually come to see their experiences as blessings in disguise. The turnaround dNDErs, corresponding to those Rommer described, are those who interpret their [d]NDE as a warning, who are able to connect it with previous behaviors they identify as unwise or downright wrong, and who then find avenues by which to modify their lives in satisfying ways (p. 104). She noted that these type of dNDErs heal most quickly and thoroughly in the aftermath of the experience. The reductionistic (p. 106) dNDEr argues away the dNDE as somehow less valid or real than pleasurable NDEs. Bush speculated that people in this category might find psychological peace, but only temporarily. The long haul (p. 108) dNDErs undertake a long-term process lasting sometimes many years of searching for a way to accommodate the dNDE into a much deeper view of reality. Although Bush found more patterns of response than Rommer did, her conclusion, like Rommer's, is optimistic: A psychospiritual descent into hell has been the experience of saints and sages throughout history, and it is an inevitable episode in the pervasive, mythic theme of the hero's journey. Those who insist on finding the gift, the blessing of their experiences have the potential ultimately to realize a greater maturity and wholeness (p.129). We have a page (and brochure) Caring for the Near-Death Experiencer: Considerations for Experiencers on taking care of oneself after an NDE and finding people who will listen. The IANDS office often can connect an NDEr seeking short term support with another NDEr willing to provide that support. IANDS also has over 50 local Friends of IANDS (FOI) support and interest groups, most of which meet monthly. Our The Experiencer's Guide to Psychotherapy page (and brochure) has information about finding a psychotherapist. Bonenfant, R. J. (2001). "A child's encounter with the devil: An unusual near-death experience with both blissful and frightening elements ". Journal of Near-Death Studies 20(2), pp. 87-100. Bush, N. E. (2012). Dancing Past the Dark: Distressing near-death experiences. Ellwood, G. F. (2001). The Uttermost Deep: The Challenge of Near-Death Experiences. New York: Lantern. Greyson, B. & Bush, N. E. "Distressing near-death experiences" in Bailey, L. W. & Yates, J. (Eds.) (1996). The Near-Death Experience: A Reader. New York: Routledge. Regularly check this website to learn about recent research findings regarding NDEs in general and distressing NDEs in particular. If you want to conduct a scholarly review of the professional literature on distressing NDEs, an excellent place to start is with the Near-Death Research Bibliography Part I. The Bibliography includes a listing of each article from the Journal of Near-Death Studies through 2001, along with its abstract, that addressed distressing NDEs. Parnia, S., Waller, D. G., Yeates, R., & Fenwick, P. (2001). "A qualitative and quantitative study of the incidence, features and aetiology of near death experiences in cardiac arrest survivors." Resuscitation 48, pp. 149-156. Schwaninger, J., Eisenberg, P. R., , Schechtman, K. B., & Weiss, A. N. (2002). "A prospective analysis of near-death experiences in cardiac arrest patients ". Journal of Near-Death Studies 20(4), pp. 215-232.
van Lommel, P., van Wees, R., Meyers, V., & Elfferich, I. (2001). "Near-Death Experience in Survivors of Cardiac Arrest: A Prospective Study in the Netherlands ". The Lancet 358, pp. 2039-2045.